Dr. Madison Sowell has been named provost and vice president for academic affairs at Tusculum University effective July 9. Dr. Sowell comes to Tusculum from Southern Virginia University, where he has served most recently as provost and chief academic officer. “We are excited about adding Dr. Sowell to the Tusculum University team. His academic pedigree and leadership experience will serve us well in this exciting time of Tusculum’s history,” said Dr. James Hurley, president of Tusculum. As chief academic officer, Dr. Sowell will be responsible for the academic integrity of the institution, for all programs and administrative offices related to the academic enterprise, and — in consultation with faculty, officers, and trustees — for long-range academic strategic planning, resource allocation and the implementation of new academic programs. Born into a third-generation family of farmers in northeastern Arkansas, Dr. Sowell moved as a teenager with his widowed mother to Memphis, Tennessee. There he attended Central High School, excelled as the school’s pianist and shared the number one ranking in a graduating class of 400 students. After working in Europe for two years, he went on to receive a master’s and Ph.D. in romance languages and literatures from Harvard University. While a graduate student, he was awarded the Jacoby Prize in Italian Literature for promise as a scholar and the department’s annual travel-study prize for outstanding teaching. During his career, Dr. Sowell has specialized in teaching Dante’s works as well as a popular course entitled “Saints, Signs and Symbols: How to Read Medieval and Renaissance Art.” He has lectured nationally and internationally on a host of topics and at a variety of venues, including last fall at the Italian State Archives in Naples. He has edited, translated and published eight books and more than 130 refereed articles, encyclopedia entries, essays and book reviews. The topics of his publications have been wide-ranging and have included the Italian epic tradition, the history of nineteenth-century ballet and how to meld a liberal arts education with solid career preparation. A past recipient of two summer fellowships from the National Endowment for the Humanities, he received earlier this year the Howard D. Rothschild Fellowship in Dance to conduct research at Harvard’s Houghton Library. Dr. Sowell has enjoyed extensive experience in academic administration. 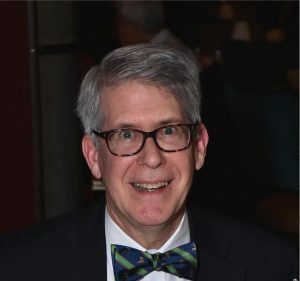 He served for six years as provost, chief academic officer and SACSCOC accreditation liaison at Southern Virginia University, a liberal arts institution that has seen a 40 percent increase in student enrollments over the past four years. Previously he taught at Brigham Young University, where he chaired the department of French and Italian for three terms and was a Karl G. Maeser General Education Professor, the Scheuber and Veinz Professor of Humanities and Languages, director of the Honors Program and associate dean of undergraduate education. He was the founding director of BYU’s first Study Abroad to Italy and has led approximately twenty travel study tours to Europe. One of his claims to fame is that he has seen all 36 extant paintings by the seventeenth-century Dutch painter Johannes Vermeer. Dr. Sowell is married to Debra Hickenlooper Sowell, a dance and theater historian with a master’s in theater from Tufts University and a doctorate in performance studies from New York University. They are the parents of two married daughters and have three grandchildren.